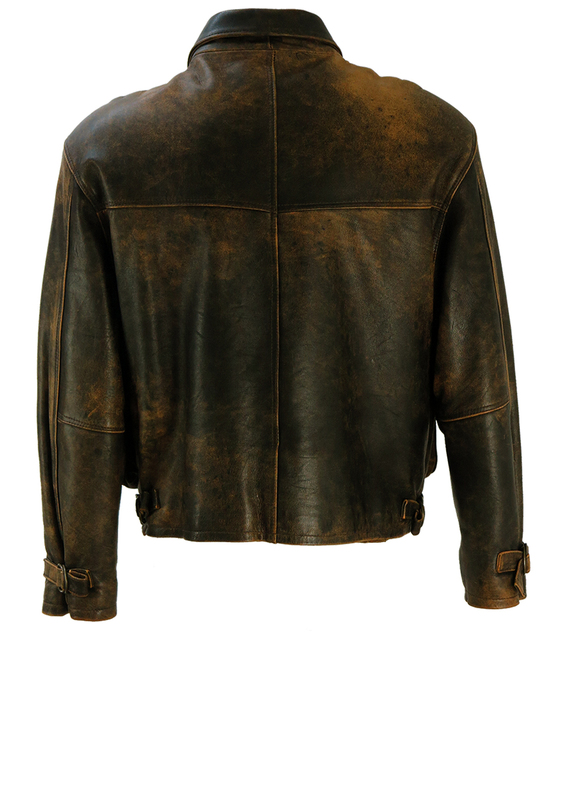 Leather bomber jacket with a lovely two tone mottled colourway of dark brown and tan. 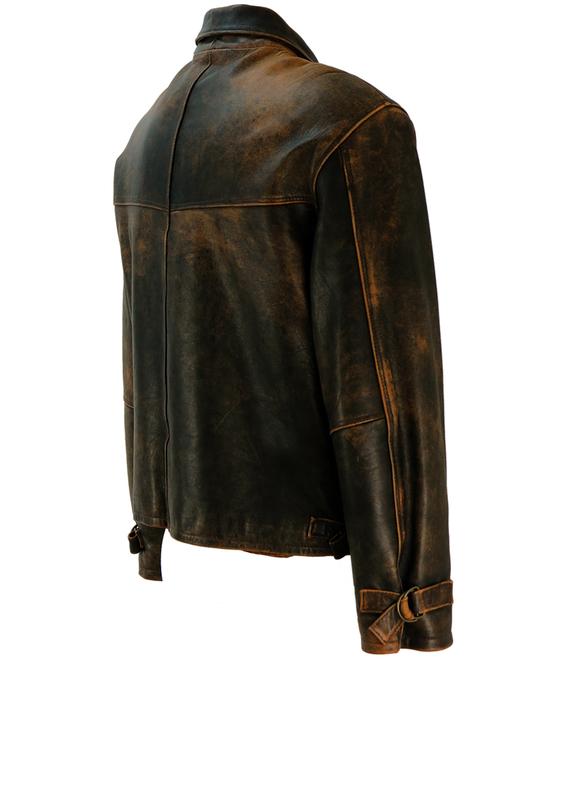 The jacket features two front pouch pockets as well as a zip fastening chest pocket. 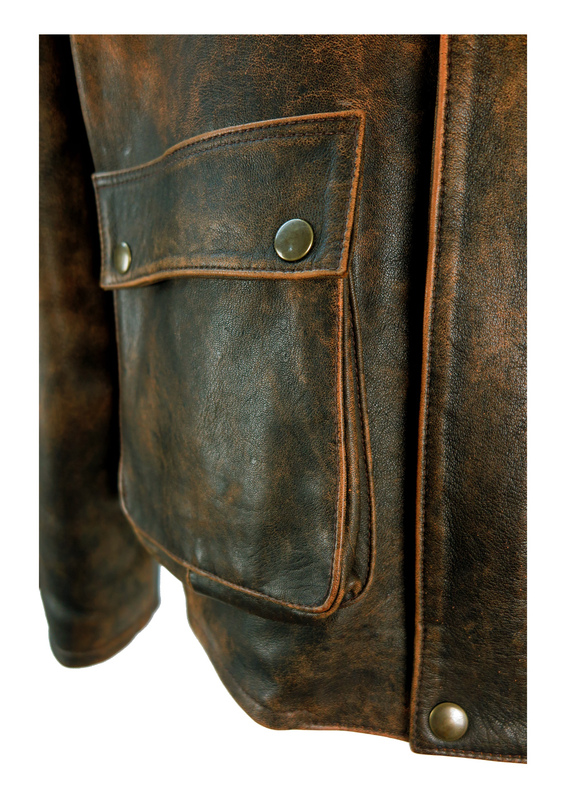 It fastens via a zip that is concealed by a leather overlay. 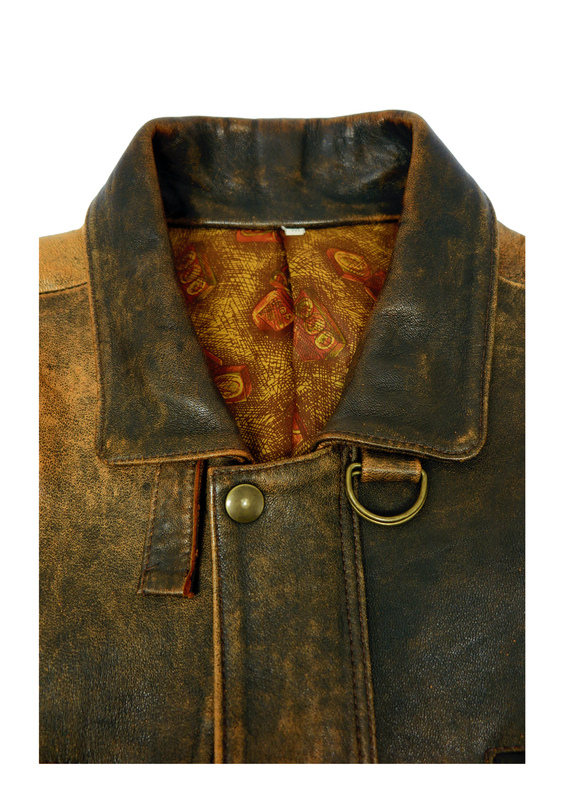 The lining is patterned in an ochre, russet & brown colourway and is slightly padded. There is also an inner seam pocket. 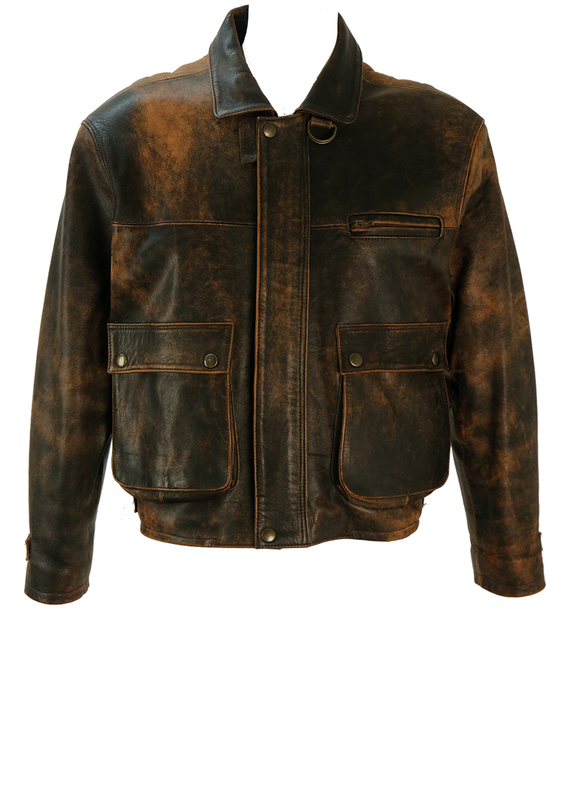 The sizing label states a size M which we feel would make for a relatively casual fit. 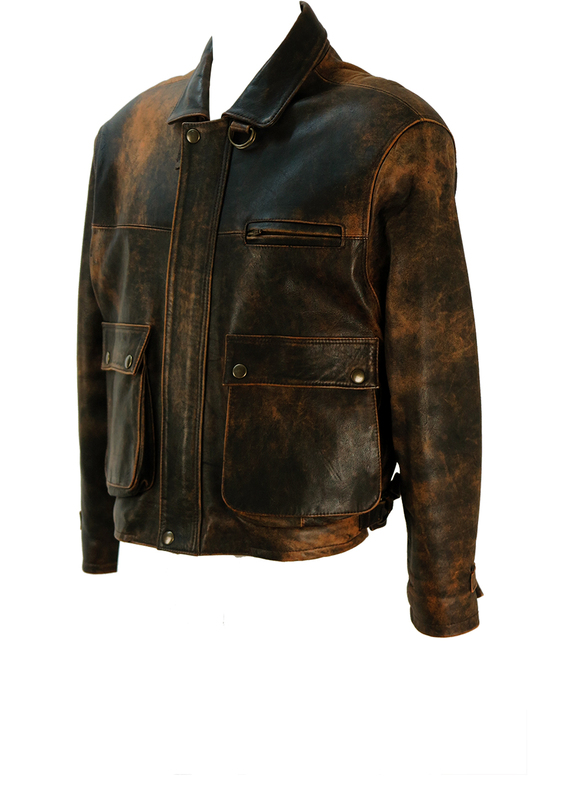 We have also sized it as a potential size L for a more fitted cut. 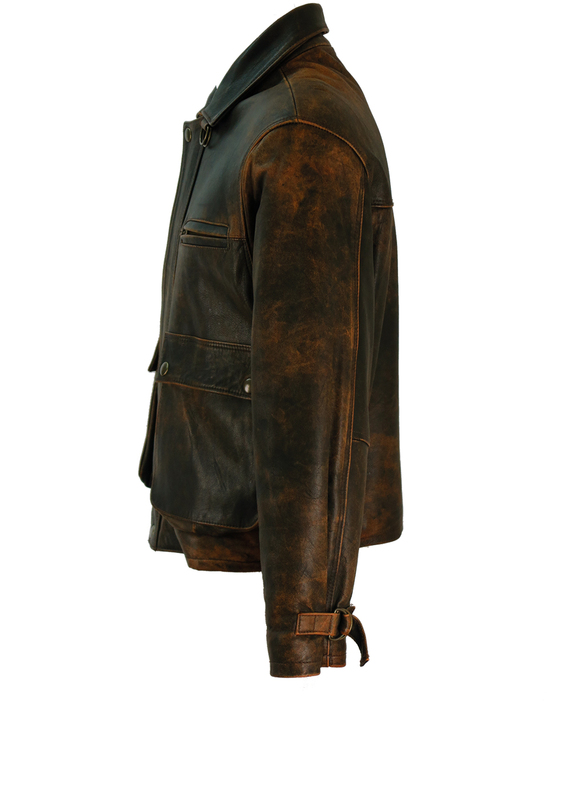 The jacket has leather straps at the sides and cuffs which can be loosened or tightened via metal loops so the fitting can be slightly adjusted. Please refer to our measurements for further sizing guidance.